More and more people are becoming increasingly interested in living in a smart house, and Amazon is encouraging them to embrace the new Internet of Things (IoT) network. For example, Amazon’s Echo and its digital assistant are among the finest hardware successes since the Kindle was invented, so the company thought of stepping into Google territory for its last feature. Today, Amazon revealed details about the update on its official website, announcing Echo owners that the helpful little voice-controlled helper has now added creating Google Calendar events to its list of things it can do. It’s as simple as any other command you give to Alexa – the voice assistant. Just saying, “Add an event to my calendar,” or, for instance, “Add Grace’s luncheon to my calendar for Tuesday at 13 p.m.” will prompt Alexa to add any particular event you wish. Evidently, you need to make sure you have connected your device to a Google Calendar account before you start using the feature. Just go to Alexa’s companion app to adjust the settings. To be completely honest, this is not the first time Alexa has dived into Google Calendar territory. Before the update, she could read your events back at you, but the new creation feature raises the stakes. More precisely, it means that Alexa is slowly but surely encroaching on Google’s domain, threatening to render the company’s “OK Google” digital assistant useless, offering users an alternative to using Google services. At first, the Amazon Echo was supposed to be a device to help you shop and interact with content provided by Amazon, but organizing one’s day has little or nothing to do with commerce – at least not directly. This new feature, combined with the recent possibility of ordering an Uber from Echo, shows that Amazon is interested in more non-e-commerce developments for the little device. Of course, you can still rely on your smartphone assistant – be it Apple’s Siri or Android’s OK Google – to add items to your calendar. But at the same time, Echo wants to be there for you when you feel particularly lazy and your phone is in the other room. Echo – always-listening home speaker – could also be easier to interact with in some situations; you might want to plan your next brunch while you’re in the middle of another activity. But Google is not taking this blow defenseless. 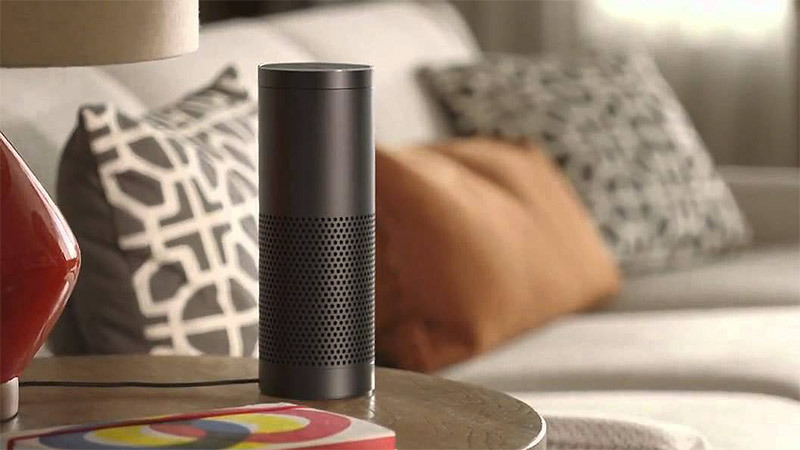 According to recent reports, the company is developing its own Amazon Echo competitor.